Awesome! You crossed the first impediment to success – starting. 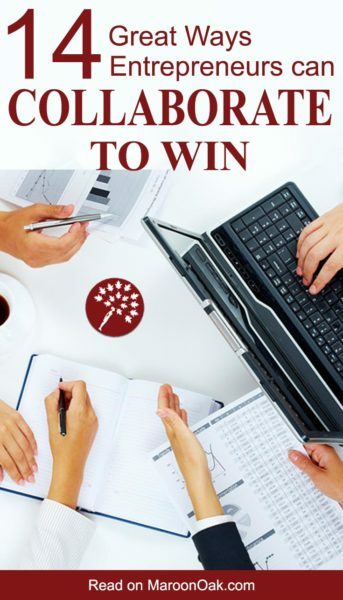 Taking on a partner, hiring an employee etc. are all subsequent building blocks. But these are internal initiatives, leading to linear growth. The smart strategy for compound growth today is external collaborations! 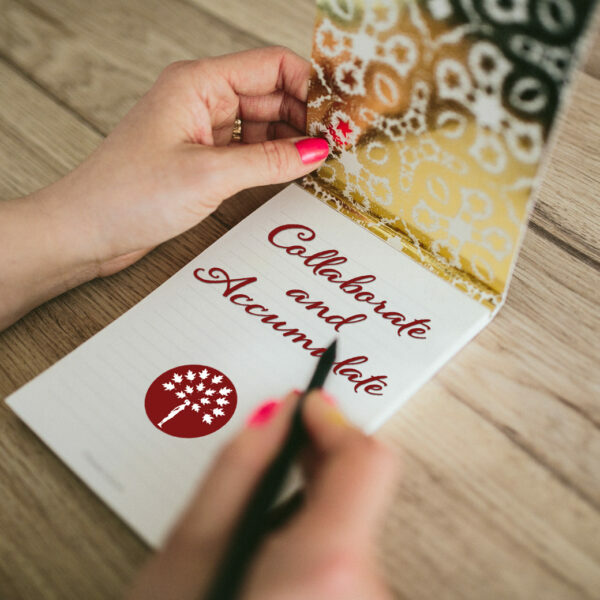 Collaboration at its core is a great tool for extracting the best out of all involved for a greater outcome. Focus closely and you will start to notice amazing big and small examples happening extensively in places where we all hang out most. Niche Facebook groups are hubs for sharing information, resources, prospects and virtual coffee dates. Social media engagement pods aim to beat algorithm changes with groups of people simultaneously commenting on and liking each other’s daily posts. In his book Brandscaping, Andrew Davis says “In a brandscapers world, you forge content relationships, pool your financial & media resources, and share your audience with those who have something to offer. In return, you get access to their audiences, too.” Reading this fabulous book has been a game changer for me as it encouraged me to open my mind and seek the immense possibilities to creatively collaborate in every interaction. We are fortunate to live in times where technology has given each one of us amazing access. This promise of sharing resources, of innovation and community makes the idea of collaboration most appealing. Being a Career Platform for women, we often witness the collaborative power of such alliances at Maroon Oak. We asked our audience for real-life instances of collaborations to inspire you to initiate one of your own. Read on and be amazed at the multitude of innovative ways women entrepreneurs have harnessed the power of the collaborative spirit. Ask Yourself: Who can I partner with to reduce overheads and share referrals. Who brings in resources or skills that I lack? For a recent book launch by Mikifoto that I attended, I learnt that the author found a host for the event (Dressed by Lori) by posting a request on social media. 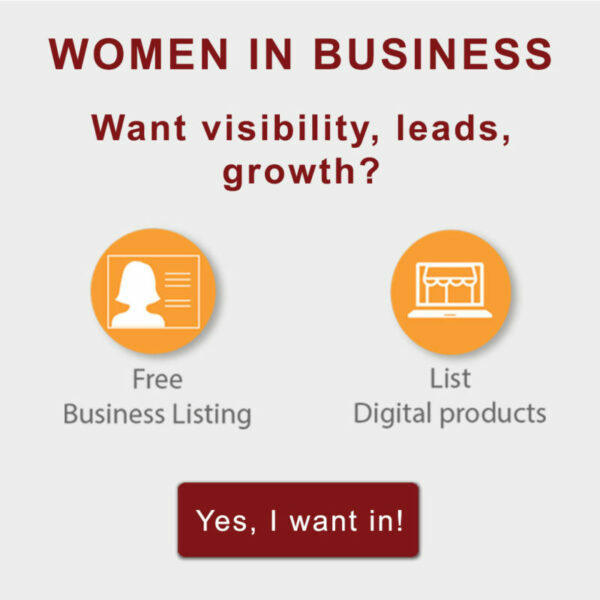 In addition, numerous other local womenpreneurs – selling food, makeup, desserts, wine etc. 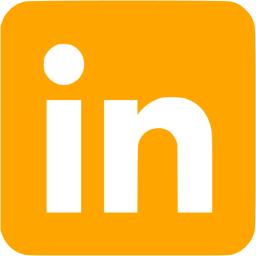 – joined in to showcase and offer samples of their goods and services. Tagging the different businesses on Facebook leading up to the event, enhanced visibility for all. Ask Yourself: At my event, what other services can my customers benefit from? Let customer needs lead the way! As per Deborah Sweeney, CEO of My Corporation, “We identify partnerships by listening to our customers. Since we help entrepreneurs incorporate, we constantly hear our customers talk about the need for financing of their start-up business. As a result, we identified a partnership with a company called Guidant that helps businesses obtain financing. In turn, many of Guidant’s customers are directed to us, when they require to file the necessary incorporation forms. It’s a mutually beneficial partnership that works for each company and our customers. Ask Yourself: Am I listening to my customers even when it doesn’t impact my business directly? “Collaboration is one of our core values at Babierge”, says Trish McDermott. Although we launch more than one “Trusted Partner” (our baby gear entrepreneurs) in every market who in theory compete with each other, in fact they are highly collaborative. Trusted Partners run their baby gear rental businesses out of their homes. They don’t have warehouses, so are careful in terms of how much gear they have on hand. We’ve had numerous instances where Trusted Partners have to rely on each other to fill large orders, sometimes for several thousand dollars! They borrow gear from each other to fill orders commonly, share local marketing expenses and marketing hacks, as well as information about great baby gear sales in our private Facebook community. Ask Yourself: Who can I work with to assist my customers, in case I need to take a break for vacation or god forbid a real emergency? Ask Yourself: Can my product bundle up/package with someone else’s product for a better outcome? BJ of Body Works Ball used social media to drive traffic to her business for the Amex Shop Small Saturday in NYC. “We rented a professional video camera set up, and taped 11 local businesses for Small Biz Saturday (including my own). I was filmed outside of each small business, and then shopping inside, highlighting great products and services from each one of them. We posted all these videos to my YouTube, Facebook and Twitter pages, emailed them to American Express OPEN and posted them on all the local merchants’ social media page as well. We didn’t have to pay any fees for the video equipment or the editing, as we included the camera store and the video editing company in our film as well. The cross promotion, the added business and goodwill amongst all was tremendous. Ask Yourself: With my expertise, what social media exposure can I provide to partner businesses in return for their complementary services? April Wier, Director of Sugar Five Design says, “ In my web design business, I made it one of my marketing goals to target clients who could hire my friend Tom, an amazing writer. The reason – when you are able to bring on specialists, the overall value of your service shoots through the roof. “I have realized over the years that I do better work, am happier and more fulfilled by my career and can close projects faster if I focus only on my area of expertise and hire other professionals to work in theirs,” says Katie Saunders, Creative Director of Pop and Grey. I collaborate with a website developer so that I can focus solely on custom Website design, and she takes my design and brings it to life in code. Now my clients’ websites are ready to launch faster, and my process is more professional and seamless. Ask Yourself: When your business offers a host of services, where can you bring on specialists in order to command a premium? Ask Yourself: Who can I work with to create strong online leads and conversions? Who can provide complementary content to create better content hooks? 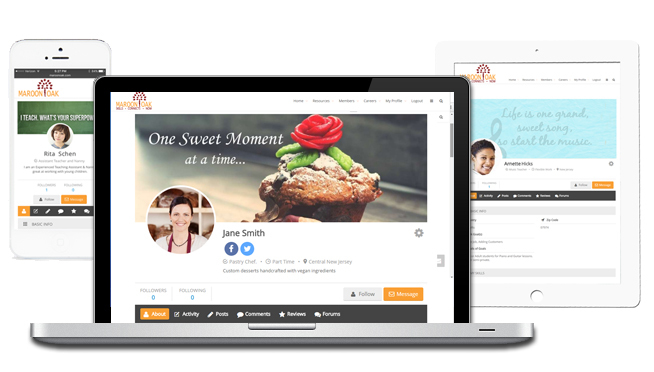 Kelley Legler of Baby Jack says, “We have a private FB group of entrepreneurs and typically grow our audience by developing Shop Shares, a way to promote other shops where we share a similar target audience. It is like a free advertisement / billboard via Instagram. This Shop Share takes place in high traffic times to get visibility with new consumers, increasing brand awareness and is deleted within four hours. In a world where many influencers request paid for posts, we band together to assist one another with brand exposure, so not every marketing opportunity is a pay per play. 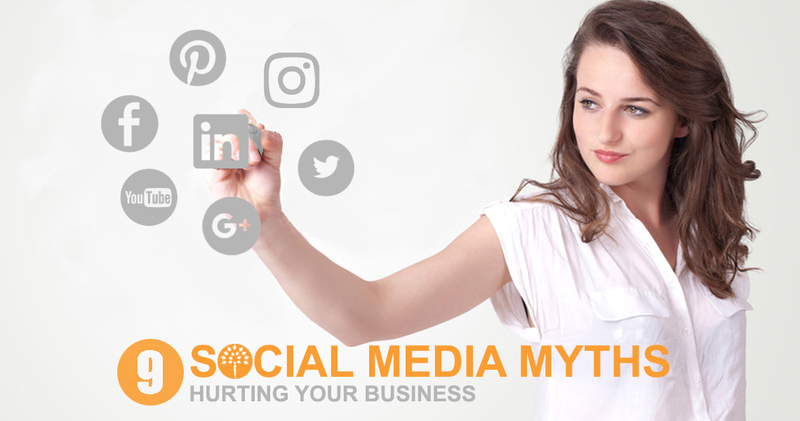 Ask Yourself: Which businesses have the same target audience (by age, gender, lifestyle, location) as mine and are on the same social media channels? One of the most successful collaborations for Daisi Jo Pollard Sepulveda, Modelpreneur at Daisi Pollard was one she did with fashion designer, Laurie Elyse of Laurie Elyse Collection. We partnered up, designed and promoted the “Meningitis Dress” to be auctioned at the “Give Kids A Shot” Gala benefiting the National Meningitis Association (NMA), to gain publicity and exposure, while contributing to a good cause. My being an active beauty queen at that time (Mrs. Ethnic World International 2012), garnered a lot of attention for the charity and Laurie Elyse is known for creating designs that are wearable pieces of art. Ask Yourself: What works well for me? Can I spread that knowledge and in the process, help a community and build a strong brand for myself. Ask Yourself: Who can benefit from my clients’ services and in return offer value? Ask Yourself: Can I round up a comprehensive list of entrepreneurs where we can share our services with each other’s clients? Rachel Charlupski, founder of The Babysitting Company says, “We work with Yacht Clubs and restaurants providing free services at brunch and dinner and they market our company to their guests. We are fortunate to have similar relationships with many other companies (real estate agents, wedding planners, spas, even doctor’s offices). When parents come to a meeting or appointment they are given our information so that they can concentrate on their meeting, kid free. Ask Yourself: Which company has my target customers and can benefit from my service? Share the Pie. There’s enough to go around. Anne- Sophie Whitehead, founder of The League Network shares her striking success. “I work with craft distillers who band together to do joint events to present their spirits to consumers. Instead of worrying about “sharing the pie”, they build on each other’s reach to attract new customers and educate them on the differences between the products. Ask Yourself: Should I fear my competition or is there a possibility to team up? Collaborations are brilliant undertakings that force you to think out of your box. In order for them to be successful, ask yourself hard, what could I offer that will work for a fellow entrepreneur? Here are some other nuggets to consider before initiating a collaboration. Sepulveda suggests that you think through an opportunity first. Make sure that the collaboration is mutually beneficial. You should never feel used in a collaborative relationship. It’s easy to get excited when other people want to work with you but take time to think if it’s something you really want to do. It’s always more work than it seems going in. Evaluate if the amount of work involved is worth the payoff whether it’s money or exposure. The most underrated business collaboration tool of all time is openness. Holding info close to the vest is the natural state of most execs and entrepreneurs alike. I’m constantly amazed by the partnerships we’ve been able to make successful simply because we were willing to share what others hold close. The fallacy of those who fail to share is the fallacy of the zero sum game–if it’s yours it can’t be mine. That’s not how I see it. If we work together we can make the pie bigger, which makes more for all of us. Working together with like-minded people will take you much further than going at it alone. I feel that great business relationships and collaboration is the currency of the business world. Try to build a relationship first, this ensures that you all can collaborate in some way. Robyn Mancell of Girls Gone Forex calls for mutual respect. The best tips I can give is to look for someone who is strong where you are weak and who can compliment your work style. She stays in her lane and I stay in mine. That is how we sustain our business. Mutual respect is a must and realizing communication is key. 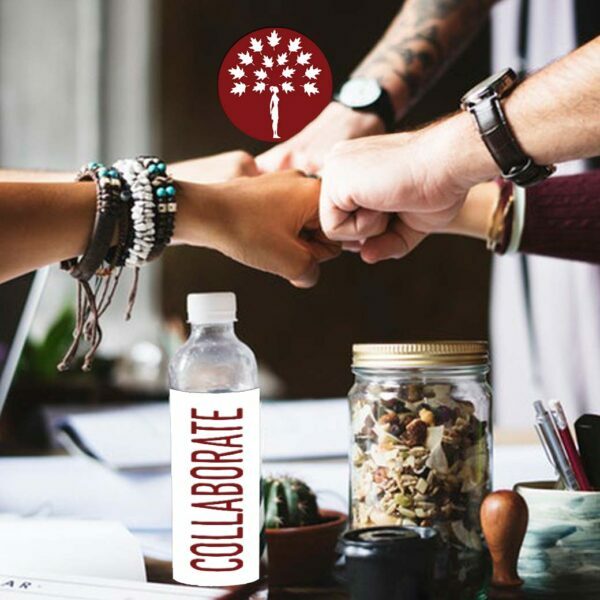 Collaborations are most successful when both parties are open with information, share their intentions and end goals for the project and take time to promote each other. The best way to sustain is to keep open communication before, during and after a project. Kassian recommends thinking outside the box. It doesn’t have to be a one time thing- like just at the holidays. Co-pros work year round and are easily customized. You’d be surprised at how many ways your product and service can cross the lines. Blogger Sarah Donawerth of Sarah Donawerth used her day job as Social Media Accounts Manager at Stampington & Company as an opportunity to make tons of connections for her blog. Collaboration in business or even a collaborative mindset is the future. Organizations, individuals and small businesses can gain so much more from working together, than alone. The opportunities and ideas that arise from cross-pollination of individual expertise are boundless. You get pushed and stretched to tread in directions you might never take otherwise. Competition makes us agile. Collaboration makes us better. Go for it – Smart collaborators ride the wave together! If you believe in career and skill enrichment for women, Maroon Oak always welcomes collaborators – subject matter experts who want to share their expertise. The list above is just a start. Share your creative collaborations in comments below. A Designer, Entrepreneur & US Patent Holder, Aditi graduated from a top design school and subsequently started her own design and merchandising business. 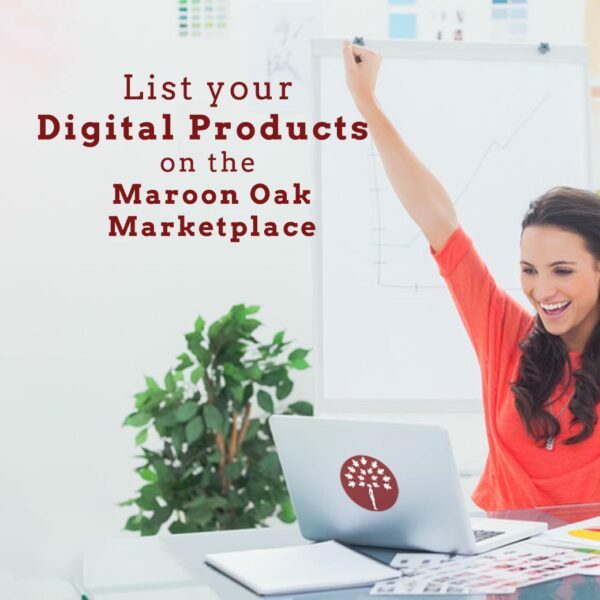 Co-founder at Maroon Oak, she has over 17 years of business experience with Two Dotts, her design consulting company and an Etsy store which serves as an outlet for her gifts and patented product designs. 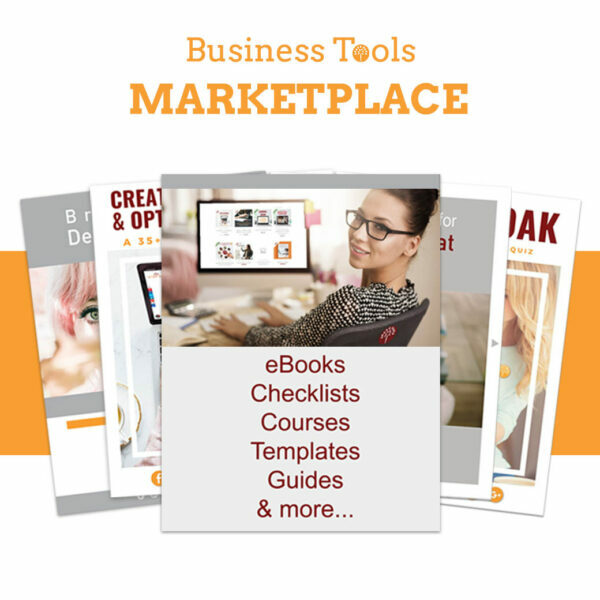 Grab her Free e-Book on Design on some of the best, easy to use Free Design Tools available to you today. Thank you for including me! Collaboration is the life blood of creativity. It makes your business network and your final projects stronger. Thank you April for contributing your valuable insights! Joining forces always benefits all sides. It’s so important to join together and collaborate. Hi Everyone! So happy to be included in this post! Collaboration Not Competition is very necessary in order to spread your message and help one another grow. Thanks Daisi! Really appreciate your tips on how collaborations worked for you! I never thought about sharing lead magnets! That’s definitely a great outside-of-the-box method! Wow such great tips shared here! I really think collaboration and teamwork are important and these are useful! What a great resource. I am a blogger for almost a year. Collaborations are very useful for a blogger like me who needs to grow their business. I’ve been blogging for almost a year and would LOVE to hook up with other fashion/travel bloggers to brainstorm and collab together. While this is a great post with great ideas, it’s pretty hard finding others to do this with. Candy, Have you tried joining niche Facebook groups for fashion/ travel bloggers? I really love reading this Aditi. Collaboration is the key to a successful business. These are such great ideas and I would love to implement them someday. I learned from a boss of mine to not always do everything myself. He use to always say, “leverage your resources. “Work with people to help you become successful. This is why your post resonated with me. Partnerships and collaborations truly help you succeed. These are some really good ideas and some of them, I was unfamiliar with. I need to look into some options further because I think they can be beneficial for my blog (and hopefully my partner’s in return). I actually didn’t think about these, I’m so glad I found your post. This will definitely make a difference. Collaborations are a work in progress. A;ways something more to do! There’s a lot here that I didn’t already know about. I am always trying to expand and grow so I love seeing information like this. I’m already implementing some of the ideas you’ve stated but to be honest there is so much I can learn from this post! Great! 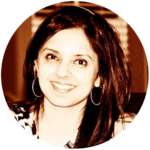 I encourage you to reach out to individual contributors if you have any questions! I really found this post useful Aditi. These are some great ideas and I would love to implement them soon. Glad to hear that Tanvi! I loved reading this Aditi. At the risk of sounding sexist, I’ve always wondered if collaboration isn’t something that comes naturally to women. As mothers we collaborate on all levels to try and do the best for our kids and it works. Why would running a successful business be any different. Very well said Michelle! It works for all when there is collaboration over competition. Collaboration is so worthwhile. I’m really learning that more and more as the years of blogging go by. I really want to get more involved in my niche, too. The time it all takes is very demanding but important. Couldn’t agree with you more! Collaborations can be a great time saver too as they can help you focus on building our niche. Hi all – delighted to be included in this post. Collaboration and mentoring are KEY to women in business. Let’s pay it forward – everyday! Thank you for sharing your nuggets for this post Priscilla. Love the pay it forward spirit! such great advice and really opens your mind to thinking about things differently. Thanks Amanda! Thats the hope and objective! I’ve been struggling with this. I’ve been trying to make connection to find someone to collaborate with on a book blog. It is proving to be more difficult than I anticipated. So I think I will continue trying and use some of the tips you mentioned and hopefully someday soon it will happen for me. Wish you luck Cia! Maybe a combination of tacticcs might work for you. Have you tried posting your collab request on niche Facebook Groups?